Tired of all this e-Reader news? 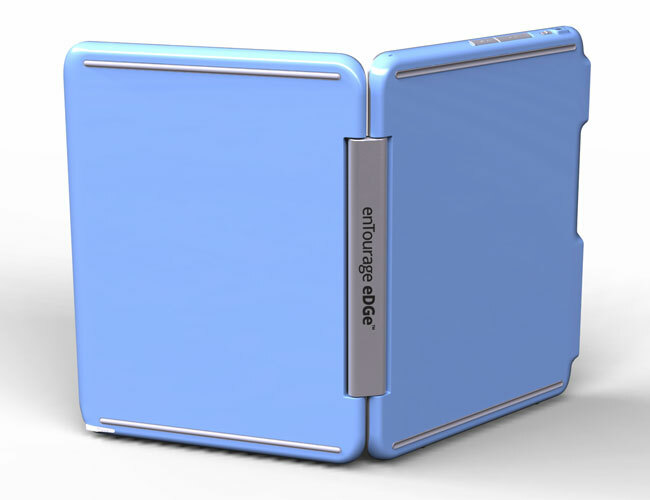 We aren’t either and we’re pretty excited about this netbook/e-reader lovechild, the enTourage eDGe. The dual-screened enTourage eDGe, sporting a potent Armada PXA168 processor as its main powerhouse, still hasn’t had a public hands-on and we haven’t seen many demos—until now. The netbook/e-Reader hybrid was captured by netbooknews.com in this detailed hands-on with the software e-Ink side of the eDGe. 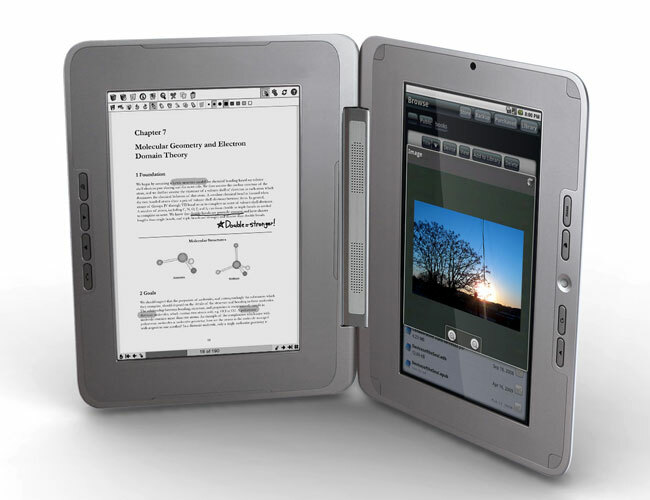 The enTourage eDGe e-reader features 1200 x 825 pixel screens and uses e-Ink technology, which lets you take notes right on the book or enter drawings with the stylus or text. The eDGe also lets you save your notes and journals, which can read both ePub files and PDFs, so you can email them to friends or classmates. The netbook functionality, using Google’s Android operating system, comes with web browsing, audio/video record and playback, an email function and contacts list, a calculator, an alarm clock, and a library function to manage your books and files. Check out this hands-on video.